We are excited to announce that Team Jarhead’s 23 runners have raised more than $40,000 for the Marine Corps Scholarship Foundation (MCSF) for the annual Marine Corps Marathon this Sunday, October 30 in Washington D.C. In total, the larger marathon team supporting the MCSF has raised more than $145,000 for this year’s event, a new record for the organization. This will allow the MCSF to provide nearly 50 scholarships next year. 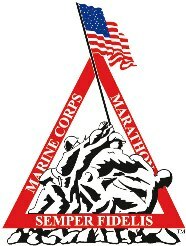 For more information, visit www.marinemarathon.com. As you may may know, Jarhead Red was first made in 1999 as a celebratory bottling for the annual Marine Corps Scholarship Foundation’s November Birthday Ball in Los Angeles. Over the years, the wine gained a following at other Marine Corps Birthday Balls, and we ultimately released the wine nationally to meet growing demand. On that note, we encourage you to raise a toast to the birthday of the United States Marine Corps, which was established at Tun Tavern in Philadelphia on November 10, 1775. Click here for more information on the origins of the USMC. Of course, any wine works for a toast, but for this particular toast, we believe that there’s no better wine for the occasion than Jarhead Red!